It must have been the sunny afternoon that sent me on a pruning binge. 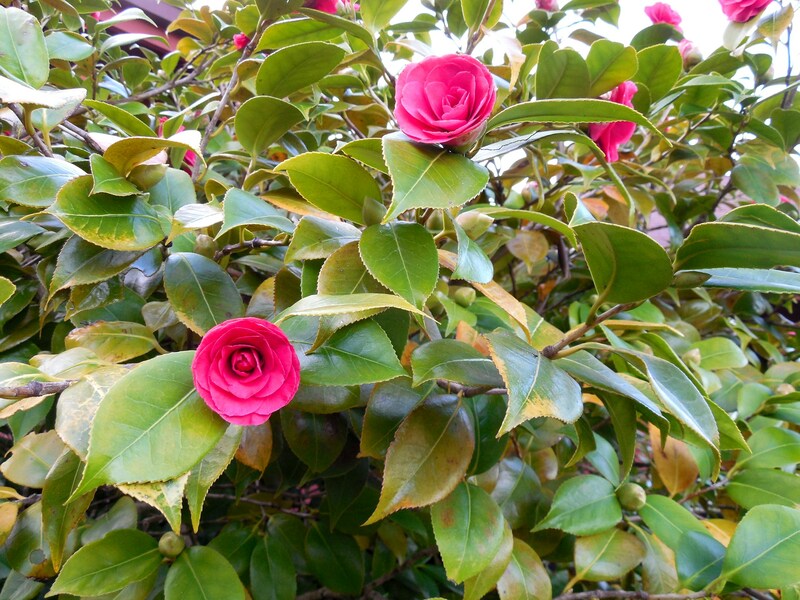 I decided the camellia needed to be trimmed and the bottom severely cut back. Nothing like a dose of plant management education on the internet to get something going in the garden. 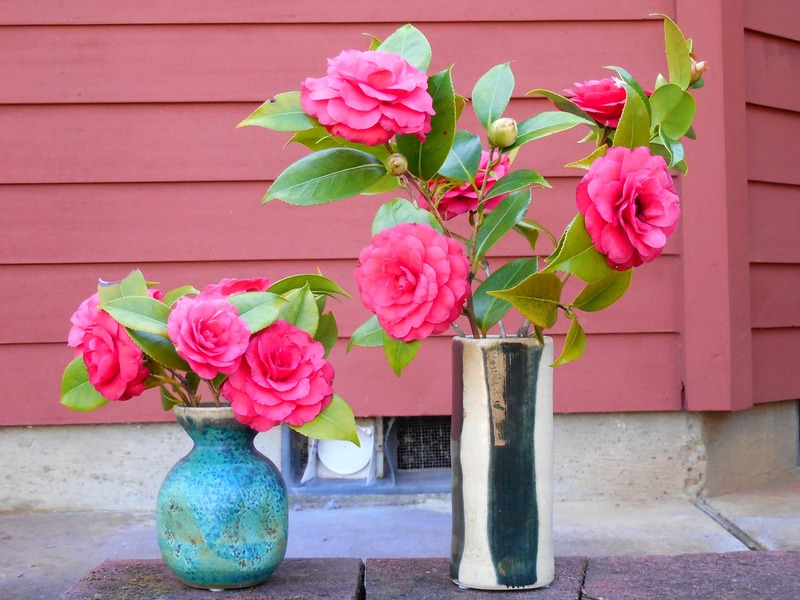 After pruning the camellia, there were so many flowers that might go to waste, that I found a couple of vases to display the cuttings. They may not last a long time, but they will look real nice for a couple of days. 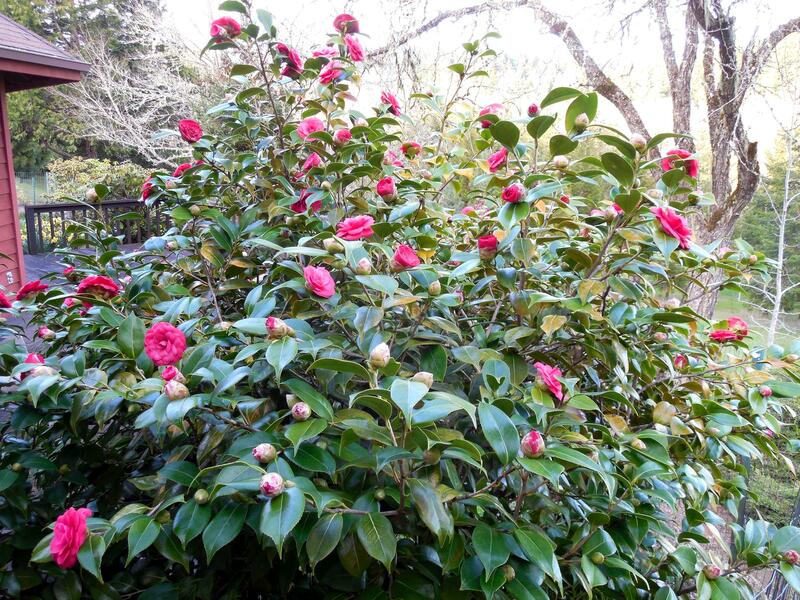 Categories: Uncategorized | Tags: camellia, cuttings, education, plant management, prunings, vase | Permalink. This must truly be a zen plant. I need to enjoy the flowers while they are here today, because no one really knows what the future holds. 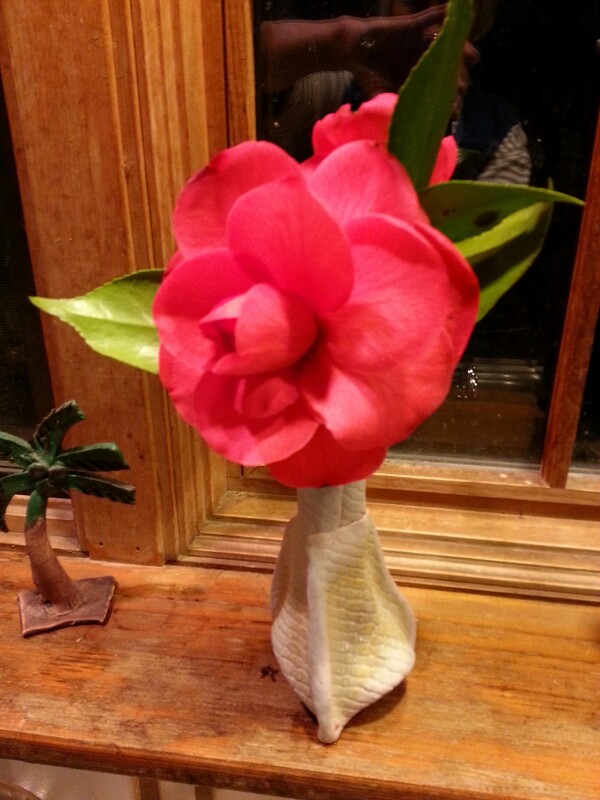 Almost two weeks ago, a friend emailed this photo of a camellia from her yard in a pottery vase I had made. While she lives only about twenty miles from me, her garden is in a significantly warmer climate than my garden. The river-bottom land she cultivates is very fertile and sunny, in contrast to the small valley in the hills I call home. Categories: Uncategorized | Tags: camellia, pottery, vase | Permalink. I planted this a number of years ago, and was sure it disappeared soon after. 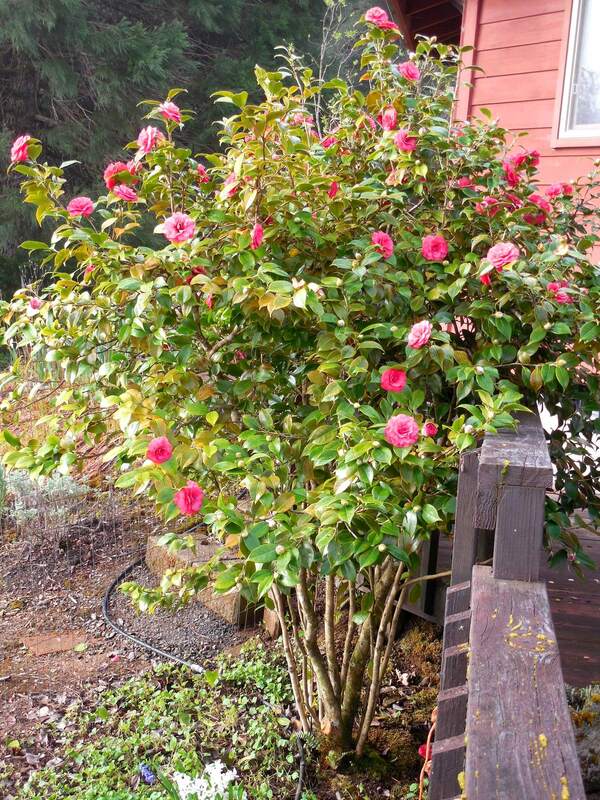 Surprisingly, it has survived and lives in the shade and moisture under a Camellia bush. The blue-violet flowers grow on stalks that emanate away from the balloon plant, thus they appear to be growing in the leaves of nearby winter-blooming violets. Violets grow profusely under the camellia bush, making it hard to see any other plants that might also be growing there. Besides the balloon flower, I am now discovering various other plants popping up under the camellia including a bergenia and bluebells. I know I have not planted the latter two in that area, so I am thinking the mice (or voles) have been moving bulbs and parts of plants around in the winter time. I had heard that this could happen, and now I am observing plants in places that I have no other explanation for their location. Categories: Uncategorized | Tags: balloon, bergenia, blue, bluebells, bush, camellia, flower, mice, moving, perennial, plants, shade, sturdy, time, violet, violets, voles, winter | Permalink.